District Health Department #10 is governed by a Board of Health which is responsible for reviewing agency efforts and setting policy. The Board is comprised of two county commissioners from each of the ten counties making up the jurisdiction. 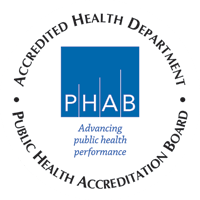 The Board of Health is responsible for assuring the Health Officer and Medical Director are in compliance with PA 368 Public Health Code requirements and that the Michigan Department of Community Health has approved both positions. Please find all related documents to District Health Department #10 Board of Health members, committees, and meeting dates.